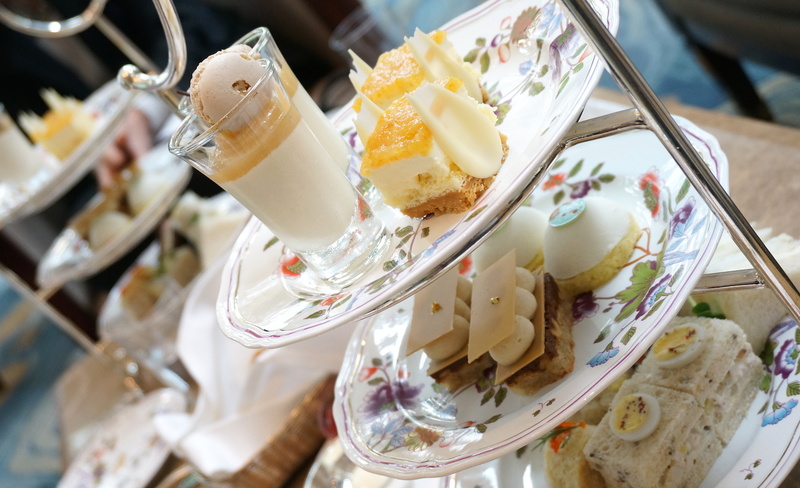 As luck would have it, our trip to the Island Shangri-La Hong Kong happened just in time to catch their Best Of London Afternoon Tea – a collaboration with Chef Nicholas Patterson, award-winning pastry chef from the Shangri-La at The Shard, London. I love the Island Shangri-La for its old-school glamour (who can resist the plush carpets in their lifts, which are changed every 24 hours to feature each day of the week?) and their Lobby Lounge is no exception – plump sateen armchairs, marble tables, sparkling chandeliers and a live pianist tinkling away in the corner. The room feels like something out of the castle in Disney’s Beauty & The Beast… no doubt helped by the fact that said pianist was playing Tale As Old As Time when I walked in! 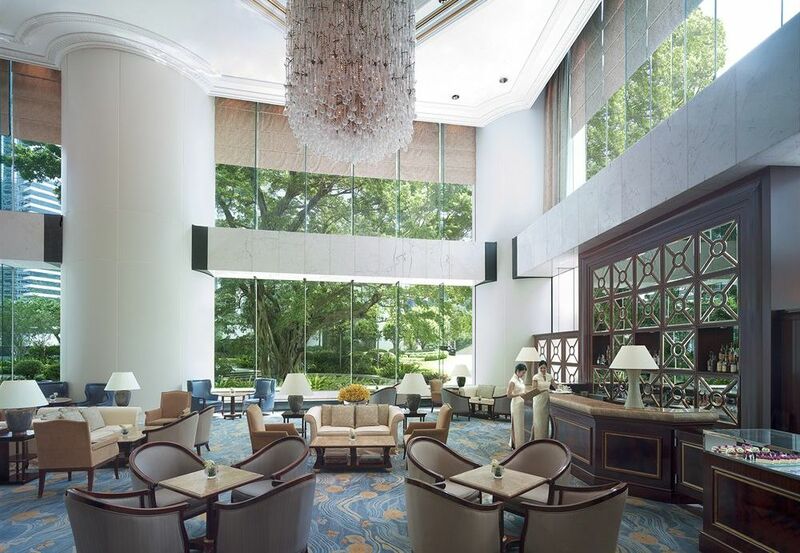 Although it doesn’t have the grandiose cityscape views of other afternoon teas in town, the Lobby Lounge’s enormous windows offer a different but equally lovely panorama – of the Island Shangri-La’s gorgeous tropical garden and giant Banyan Tree. It’s a view totally different to any other I can think of in Hong Kong, and further adds to the place’s quiet and relaxed charm.